You have the DESIRE and the ABILITY but you NEED to Take BOLD ACTION. JOIN NOW FOR JUST $97/mo.! You Want to Make Money on Amazon, but don’t know where to begin? You Have an Amazon Private Label business, but need more revenue & sales? You want the financial freedom to ditch the 9-5 rat race but don’t know how? Your inner circle (family or friends) doubt your ability to create a profitable business? Are you overwhelmed with “analysis paralysis” from all the information available to you? 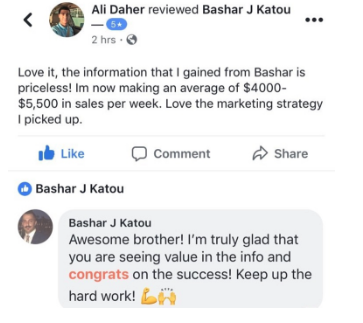 We’ve partnered with Bashar Katou, an expert Amazon FBA seller with multiple 6 figure products who resides in San Diego, California. You get access to his personal number & his closed FB mastermind group. 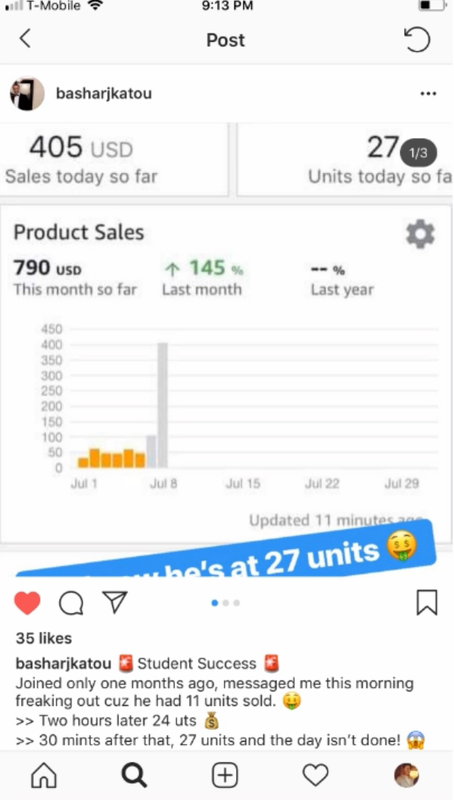 It’s like having a 7 figure Amazon Seller in your back pocket! We’ll help you avoid key mistakes in your business, like having listing copy that don’t generate traffic or elicit an emotional buyer trigger response in your prospective customer. Armed with access to Bashar and our best in-house listing copy writers we can recommend improvements to your product title, bullets and ppc manual campaigns and ensure that every piece of it is perfectly positioned to bring new eyeballs to your product’s listing – “Alday Everyday“. What’s more, we can even help you with it, should you need that. We give you access to our entire digital vault of guides and products. Stop wasting your time trying to re-invent the wheel by testing every single recommendation made by “gurus”. Instead employ what successful sellers have done in the past and continue to do. Like the image on the left – our preference is taking the “Express” train in our journey and our clients journeys, what’s your preference? Bashar goes live on FB every week for his students talking about issues students are seeing or just teaching different topics related to building a profitable Amazon business. You’ll get to interact with other sellers learning with you, so you can learn from others win’s and failures. We believe alone we can only do so much, but together we can break through the proverbial ceiling to Amazon FBA success. 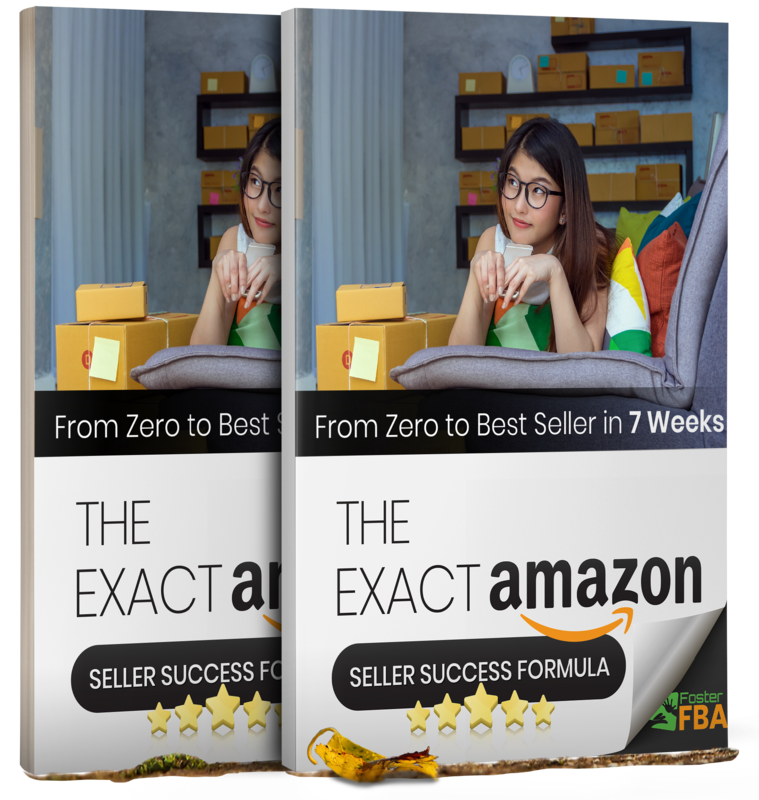 The goal with your success is to see sales and a scalable model in place that you can consistently replicate for gradual growth of your Amazon store. Bashar helps you execute your strategy. He’s in it for your success, which means he will stay with you in till you feel comfortable to run your store on your own. We want you to quite literally *leap frog the competition*. Ready to Build And Scale Your 6 Figure+ Amazon Business? We’ve partnered with Bashar Katou, an expert Amazon FBA seller with multiple 6 figure products who resides in San Diego, California. You get access to his personal number & his closed FB mastermind group, so that you could get answered any burning question you had within your business or if you just needed someone to brainstorm your ideas with. This person would be separate from your listing & PPC advisor (if you had the platinum plan) but would be a mentor you could lean on when needed, all conveniently included within your monthly plan! Expert consultants sometimes charge $200+ for 30 minutes or an hour consultation, you get access to an expert all bundled in for as low as $3.23 per day! 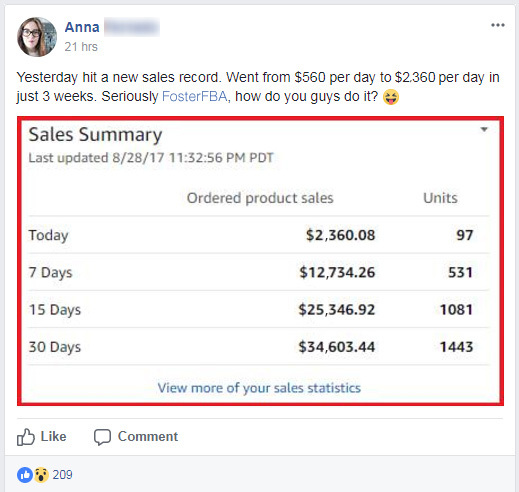 Yes that’s less than a price of a coffee for personal 24/7 access to an expert to help nurture and scale your amazon fba business. Is anyone Eligible for FosterLabs Mentorship? 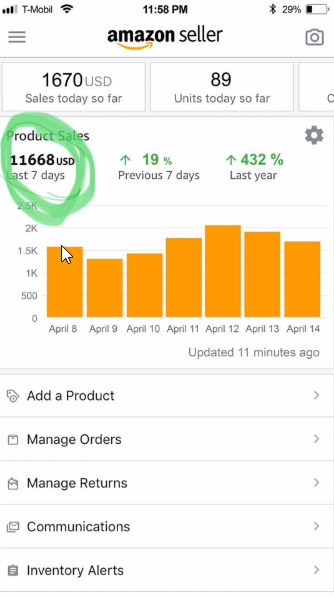 We help anyone from a newbie looking to get his/her product on Amazon for a little side income to established sellers doing under 50K/ month but looking to scale. At what hours can I get access to Bashar to ask questions or brainstorm? 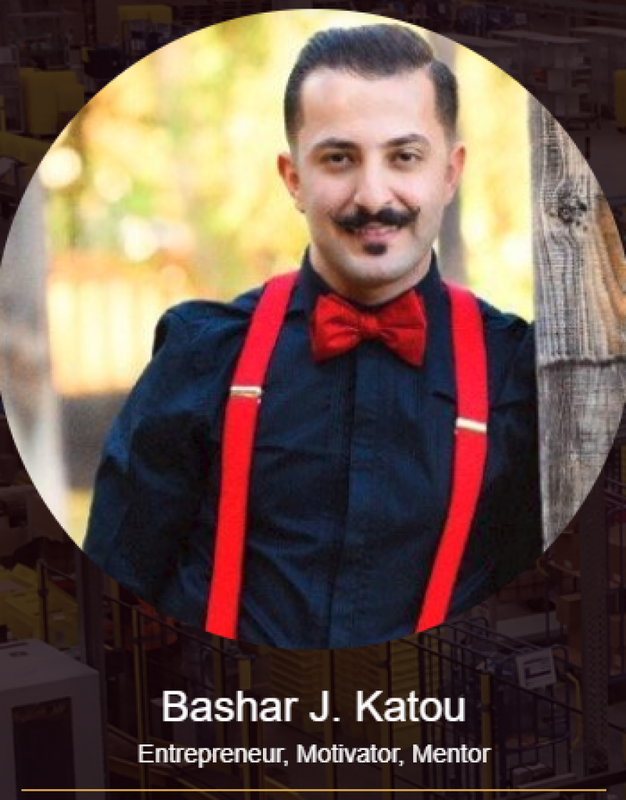 Bashar Katou resides in Sunny San Diego, California and as such is available Pacific Standard Time anytime between as early as 6 AM PST to 10 PM PST. How do I get access to Bashar? Once you’re a FosterLabs member (silver or platinum plans) – you can login to your account and in your members dashboard you’ll find the details to message Bashar on Facebook or call him on his cell phone. His preferred mode for quick communication and sharing images / research ideas etc is via FB messenger but he understands that not all use that and would be more comfortable on a phone call. So whichever mode works for you, pick it and take action! What kind of Limited Listing Assistance do I get? You’ll get access to a listing advisor on our team that can help you with minor updates to your listing and with light keyword research. Your advisor can also audit your PPC Campaigns and let you know what changes can be made to it to get it further optimized. You can request for assistance by just emailing support@fosterba.com and a advisor will take care of you! If you would rather have a dedicated listing advisor that does your listing optimization, keyword research, sets up and monitors your PPC Campaigns on an ongoing basis then you’ll need to be on either FosterLab Gold or Platinum plans. What do I get in the FosterLabs Digital Vault? The FosterLabs Digital Vault is where we place our individual products after the initial promotion, this is where you get access to all our popular products & guides that was sold for $27 and more all within your monthly membership. 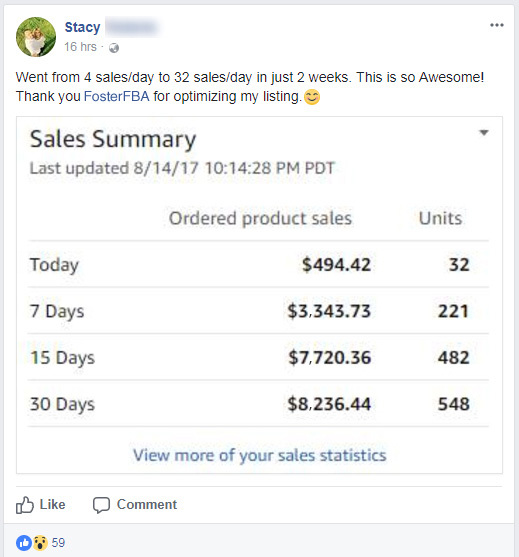 In addition we also have special highly discounted offers to our services and our partners (like $100 off Bashar’s Amazon FBA course) only available to FosterLab members. What kind of things can I expect Bashar to help me with as a Mentor? Be a sounding board for your product finds – Bashar will consult with you to review what you plan to sell and mentor you to ensure it’s a product that’s setup for success and not either highly competitive or without demand. Coaching on Execution – Once you have a profitable product (or products) chosen, Bashar ensures you have all the right tools and strategies to execute on your plan and give yourself the best chance at succeeding at making money on amazon. 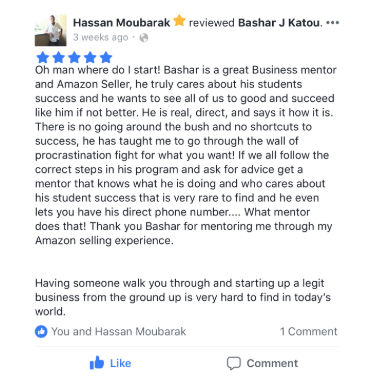 Bashar succeeds when you do – this one doesn’t need explaining but a mentor’s only measuring stick is having students that are succeeding in their Amazon business. Bashar stays with you till you feel comfortable to run your store on your own. Absolutely, we’re confident that you’ll grow with us on this journey to seller success, which is why all of our FosterLabs memberships come with a 30 day initial trial period that’s completely risk-free and refundable, if you do not feel like you got value from it. 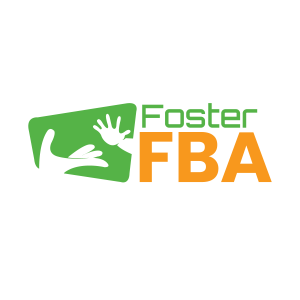 Just send us an email at support@fosterfba.com within 30 days of your registration and we’ll refund your fee and ensure you do not get charged after that. We honestly do not think it will come to it as we’ve got our best people on this stuff.